It has been a long time since I received my last VoxBox from Influenster — see what I got in my J’Adore box — so I did a little happy dance when I received an email saying I was selected to get the newest #RefreshVoxBox. If you don’t know what all the fuss is about VoxBox’s from Influenster….read my previous post to get all the details. It’s basically a fun program where you get sent products for free to try out and talk about — and you don’t have to have a blog or Youtube channel! If you have some form of social media (Twitter, Facebook, Instagram), then you can join this program and get sent free stuff! The picture on the right shows you the box I received, as yet unopened. I should have taken the bubble wrap out before snapping this picture, but I forgot. Ah well, you can see from the information card that I propped up on the box—and the coupons that came with it–what the bottles look like. If you are still unsure what is inside the Influenster box, let me explain! 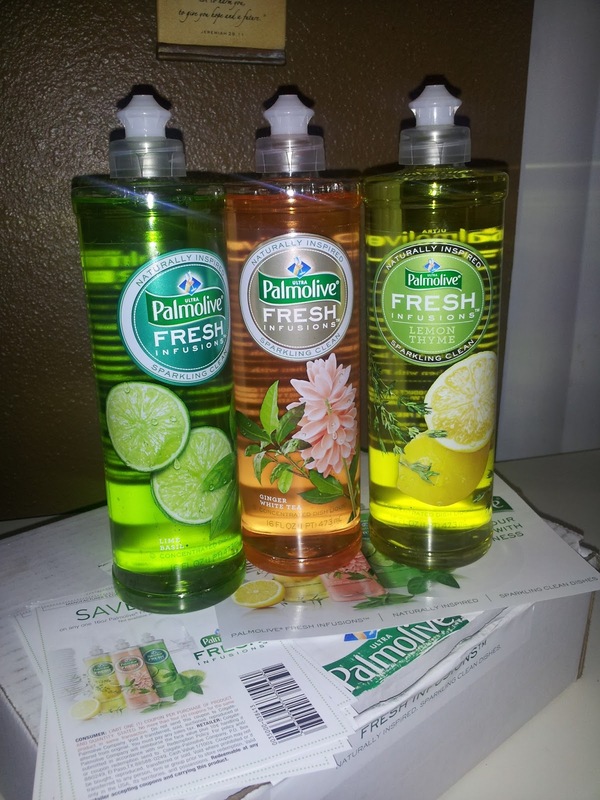 It’s Palmolive’s new Fresh Infusions Dish Liquid soap—“Naturally Inspired. Sparkling Clean Dishes”. These new Fresh Infusions are designed with elegant simplicity and the freshest scents in mind. I am SO excited about trying these out. I have no idea how well they will work, but I know that they smell really good! Make sure to keep watching my posts—I’ll be updating you with a review on how well these work. 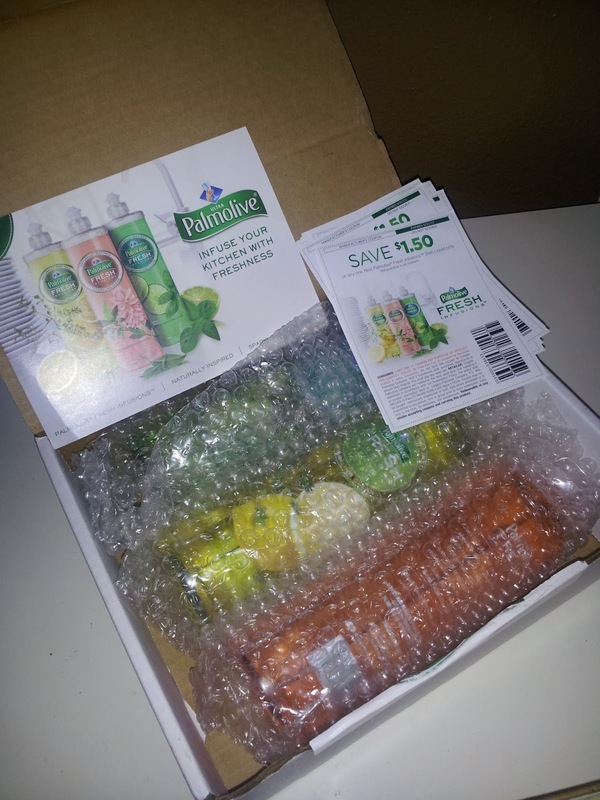 I received the Palmolive soaps complimentary from Influenster. All thoughts and opinions expressed are my own.